When R. Wayne LeChase succeeded his father as president and CEO of LeChase in 1981, the change in leadership introduced a fresh management style that reinvigorated the company and attracted an abundance of extremely qualified construction professionals. In 1997, Wayne also added managing partner to his title. In 2007, Wayne assumed the role of chairman and appointed William (Bill) H. Goodrich as CEO, also naming Bill managing partner in 2008. As chairman, Wayne continues to play an active role in shaping the firm’s strategy. Prior to joining LeChase, Wayne practiced law at the offices of Johnson, Reif & Mullan, and later worked as a partner at the law firm of LaDuca, Offen & LeChase. In addition to being a consistently effective leader and entrepreneur, Wayne believes in the importance of civic responsibility and is a champion of many important community initiatives. 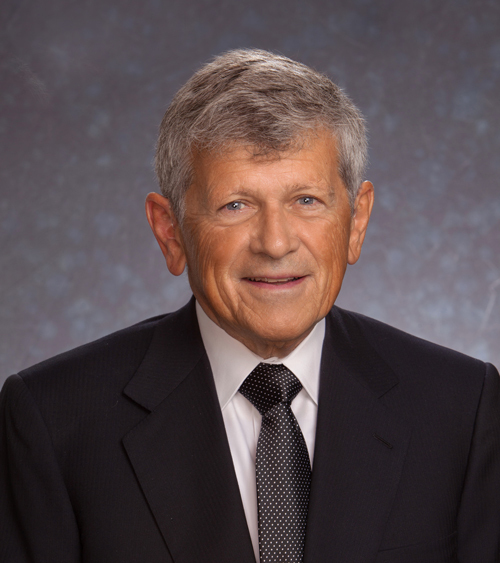 He is a former member of the Greater Rochester Chamber of Commerce (formerly Rochester Business Alliance) and is also a Life Trustee of the University of Rochester, Emeritus Trustee of St. John Fisher College and McQuaid Jesuit High School, and the former chairman of Greater Rochester Enterprise. Wayne’s education includes a B.S. degree in business administration from John Carroll University and a J.D. degree from University at Buffalo Law School. He was awarded the Herbert W. Vanden Brul Entrepreneurial Award by Rochester Institute of Technology’s College of Business in 2004. In 2005, he was inducted into the Rochester Business Hall of Fame, a program created to recognize exemplary leaders who have made outstanding and enduring contributions to business and community in the Greater Rochester region. Wayne also received a Lifetime Achievement Award from the Builders Exchange of Rochester in 2013. In 2018, the Rochester Business Journal presented him with an ICON Honors award in recognition of his career achievements and strong leadership both within and outside the construction industry. A self-described extrovert, he exemplifies the principles of honesty, trustworthiness and integrity, and is extremely generous with his time, knowledge and resources. Wayne is the standard bearer for the characteristics essential to LeChase and is an engaged part of the firm’s ongoing commitment to its clients, employees and communities. The University of Rochester (UR) has posted an online tribute honoring Wayne and Beverly LeChase for their commitment to the university over the past 30 years, and celebrating the overall contributions of the LeChase organization to those across the university community. To view the tribute, click here.